Makro Group is a group of companies specializing in the manufacture and export of adhesives. The group is spearheaded by PT Makro Rekat Sekawan. Makro Group provides a comprehensive range of products, including water-based adhesives and hot-melt adhesives. 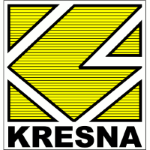 Sari Kresna Kimia is a longstanding company involved in the agrochemical industry in Indonesia for the production of pesticides, fungicides, and insecticides.